There comes a time when you have to let your teen venture off into the world on their own. But this can be a lot easier on you as a parent if you teach them essential skills for successful independence. You want your teen to be confident when they go out in the world without you, so help build up that confidence while they’re at home. This could include anything from complimenting their outfit before a party to having a celebratory dinner after a great report card. You can also take a less direct approach and instill confidence in silent ways by helping them study for a big test, teaching them secret skills you’ve picked up on, and trusting and supporting them. This means letting them have secrets, not snooping, and letting them make mistakes. The way you treat people goes a long way and can either help you be successful or set you back. Teaching your children manners, respect, and even interviewing skills for jobs can take them a long way as they carve their path in life. As your teen navigates the social world without you, you must understand that they will make mistakes: for example, dating or hanging out with the wrong people. But all of this is helping them find their identity and build confidence. We schedule our days around time—how much we have, how little, when we need to be at certain places, and when it’s time to head home. As your teen gets older, they have more and more responsibilities and time plays a huge factor in many of them. These include being on time for school and practice, making sure they have enough time to study, and allowing time for friends and family. Teach them the importance of time management and punctuality, but don’t forget to stress the importance of making time for themselves and their loved ones. Whether it’s teaching a bit of first aid, mapping out where the fire extinguisher is in the house, or planning safe routes to walk home, you should go over safety with your teen. They may roll their eyes when they hear the word “safety,” but they will be thankful you taught them the basics when they get caught in a jam. What’s more, you’ll feel a lot more comfortable knowing your teen is equipped with the right knowledge to protect themselves. 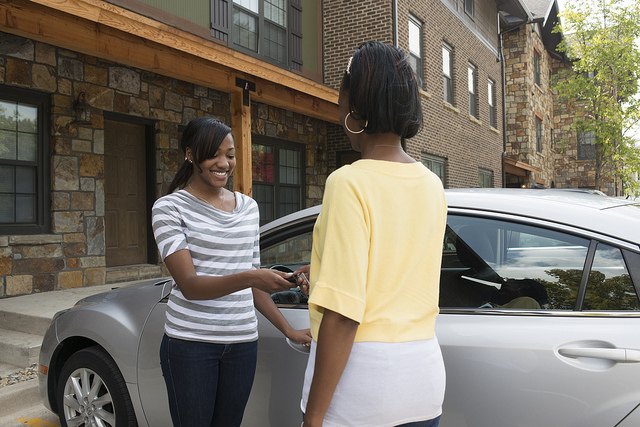 When your teen becomes independent, they are going to encounter a bunch of experiences as if it were the first time, mainly because they have to navigate the situation on their own, without their parents. This can be stressful for them, so teach them ways to deal with their stress. The approach you take will be different with every child because everyone reacts to stress differently. But knowing your teen’s personality, behavior and stress levels will help you navigate the process. Each teen is going to need different guidance based on their personality, your child-parent relationship and the environment they were raised in. However, trusting your teen and teaching them basic skills will help them navigate the world more easily as they venture off on their own.